The elegant frame consisting of reed and crossed ribbon mouldings, with fine beading to either side. 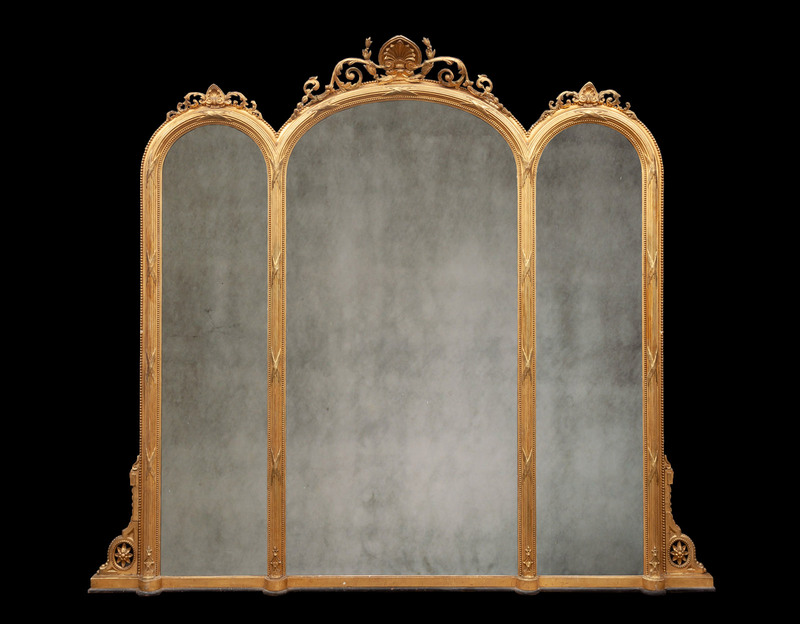 Each of the three arched mirrors have palmette and laurel arabesques pediments. The mirror retains its original gilding and mirrors.